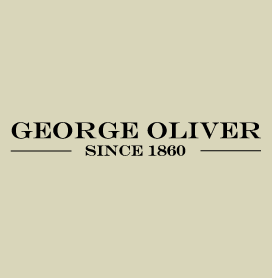 George Oliver are renowned for their classic range of men’s shoes and boots in soft and supple leather. They carefully combine style, comfort, quality and price to bring you a shoe that works just as hard as you do. This is why our buying team snapped them up the moment they saw the range. No matter what the occasion, George Oliver has the shoe for you. You really can’t go wrong with a pair of classic leather brogues; they’ll take you from the office, to the bar and back again without even breaking a sweat. In fact, the entire range of men’s lace up shoes will keep you looking smart and feeling comfortable even if you’re on your feet all day. For more casual occasions, team a pair of leather boots with your comfiest pair of jeans for a laid-back, on-trend look that’s perfect for everything from lazy weekend BBQ’s to drinks with the boys and an afternoon with the family. So browse the George Oliver range today and find your perfect fit, with Shoe Zone. 2 products from £19.99 to £19.99.